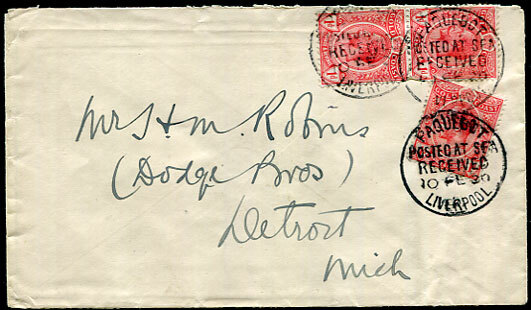 1930 cover to Detroit, Michigan with 3 x KGV 1d tied PAQUEBOT/POSTED AT SEA/RECEIVED/10 FE 30/ LIVERPOOL transit cancels. 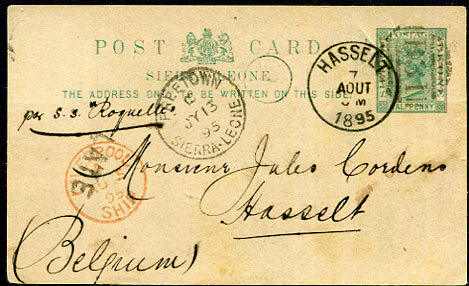 (156.01) dated B/JU 10 (95) (ERD) on QV 1d carmine UPU Post Card pmk'd indistinct "B31" overstruck Eccles C73 duplex addressed Manchester re-directed Bolton. 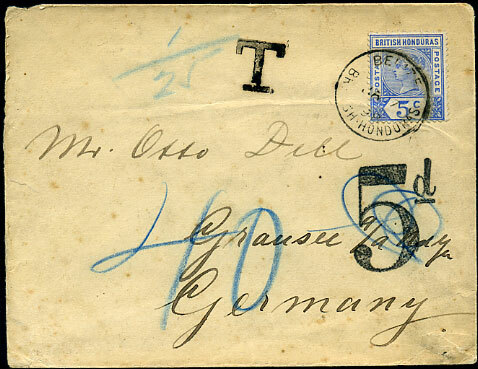 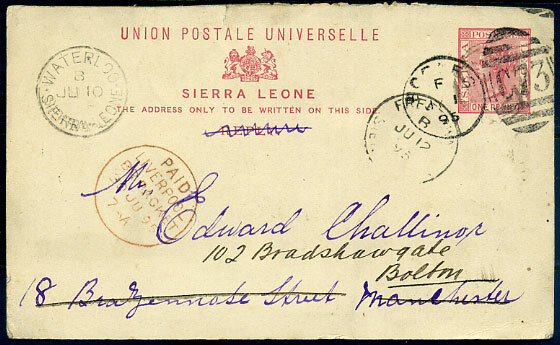 1898 underpaid cover to Germany with QV 5c (SG.54 paying 2½d single rate) pmk'd Belize JA 7 98 showing local "T" and large handstruck "5d" (applied Liverpool) plus 40pf in blue crayon. 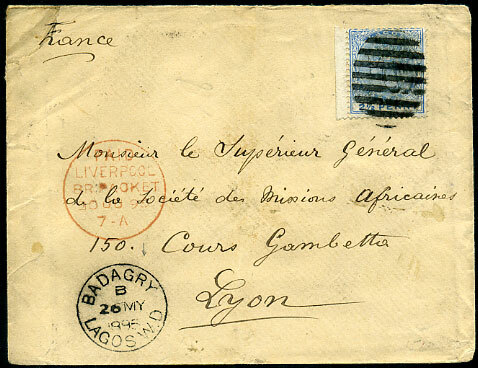 Reverse 5 A/LIVERPOOL/US PACKET/22 JA 98 and GRANSEE 24.1.98 arrival, some creasing and tears to flap.